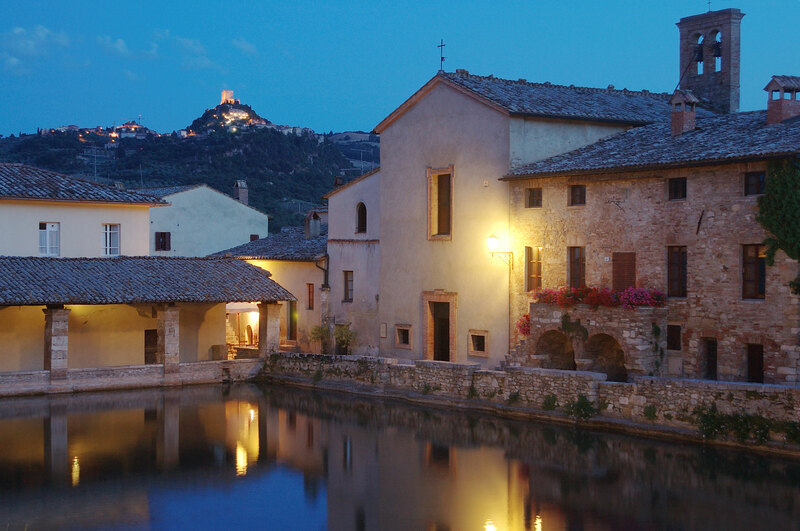 Bagno Vignoni is an ancient Romanesque village that today counts just a few dozen inhabitants. At its heart is the Piazza delle Sorgenti which makes Bagno Vignoni truly unforgettable thanks to the ancient bath that is 49 metres long and 29 metres wide and which collects the water springing from a depth of 1000 metres at a temperature of 52°c. These waters rich in magnesium sulphate and calcium sulphate were already used by pilgrims travelling to Rome along the nearby Via Francigena; others to bathe in these waters include Lorenzo il Magnifico, Pope Pius II and St Catherine of Siena, after whom the beautiful loggia that faces onto the bath is named. The Piazza delle Sorgenti appears in all its splendour in the film Nostalghia by director Andrej Tarkovskij. Bagni San Filippo is a small village not far from the slopes of Monte Amiata, famous for millennia for its thermal waters that it is believed were used from as early as Etruscan times and then well-documented thanks to a Roman settlement that was established in the Imperial era. 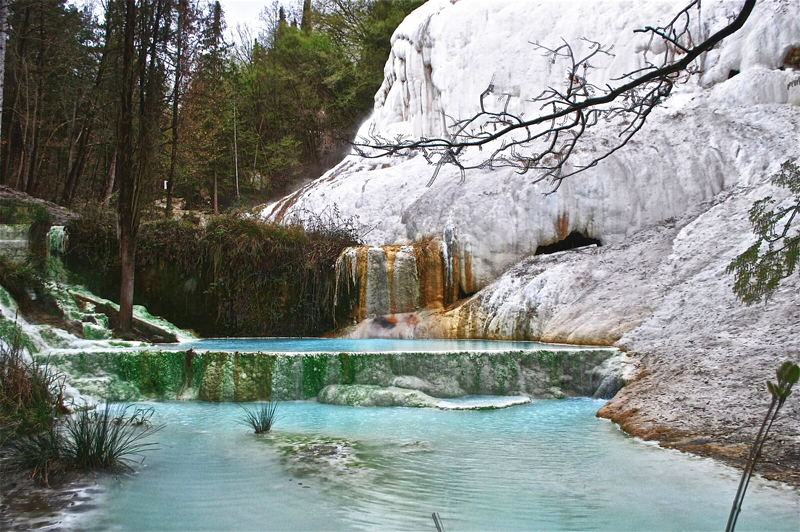 As well as the curative properties of the sulphurous waters, this spa village has been made famous by the characteristic Fosso Bianco with its white calcium deposits which form small waterfalls of hot water. At the beginning of the XIX century new thermal spas were built and the village’s potential was extended by transforming some buildings into hotels, which still exist today. The name of the village comes from its church dedicated to St Philip the Apostle. Legend has it that St Philip Benizi lived as a hermit here in 1269.